Home Uncategories Oie, it’s 2017! So, yet another tea break in the journey called life. A tea stop to put yourself together, recall all the all good and the bad since the very beginning, re-live those moments, absorb the positive give up the negative and most importantly, prepare for another roller-coaster ride until the next stop. 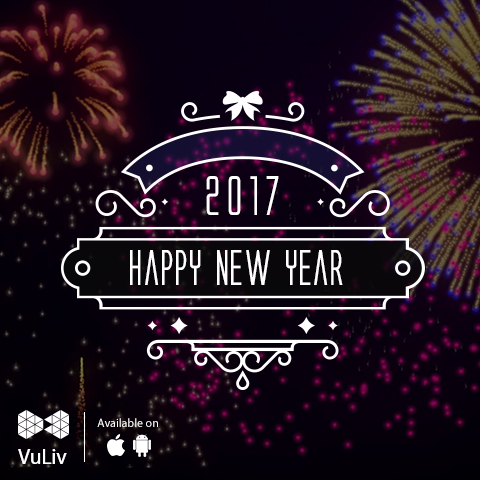 We wish you a very Happy New Year and would like to take this moment to thank you all for your unconditional love for VuLiv Media Player over the years and we look forward to make your favourite Media Player Even More Beautiful, Even More Playful, Even More Useful! And be ready, 2017 is going to be a year full of surprises, who knows when your karma decides to turn around and drop the bomb! Dear Sachin, Glad to hear such a wonderful feedback, it will surely boost our team's confidence & we promise to make your media viewing experience THE BEST ever.